The clips and trailers have all been watched, and in less than an hour the most anticipated movie of the year arrives. I remember when X-Men came out. No one I knew thought there could ever possibly be an Avengers movie. Well, it may have taken 49 years, but at long last, it’s finally here. Having watched the clips and trailers so many times, I feel like I already know the answers to many of the questions I have, but here are some of the things I’m looking forward to finding out. Will the conflict between the heroes be real enough to make their coming together meaningful? Will Chris Evans, Mark Ruffalo and Jeremy Renner be able to hold their own in scenes with Robert Downey, Jr., Chris Hemsworth, and Samuel L. Jackson? Can Mark Ruffalo’s Hulk live up to Ed Norton’s performance? Will we get enough back story on each character to bring in viewers who haven’t seen all of or any of the previous movies? How does Thor get back to Earth? Will this mean he can travel back and forth at will? Will we get any mention of what War Machine is up to? Are they going to set up what’s coming in Avengers 2, Thor 2, Captain America 2, and/or Iron Man 3? Will they devote any time to Captain America’s problems adjusting to the current time? How much control does Bruce Banner have over the Hulk? With all the characters in this movie will there be any screen time for Agent Coulson? What new gadgets/weapons will Tony Stark have on his armor? Is anyone important going to die? What will Stan Lee’s cameo be? What will be the in credits and after credits scenes? Will they have Captain America pick up Thor’s hammer? Will we get any cameos from other Marvel characters? Will they explain why Tony Stark had Captain America’s shield in his workshop in Iron Man 2? I’m sure there are more, but that’s all I can think of for now. 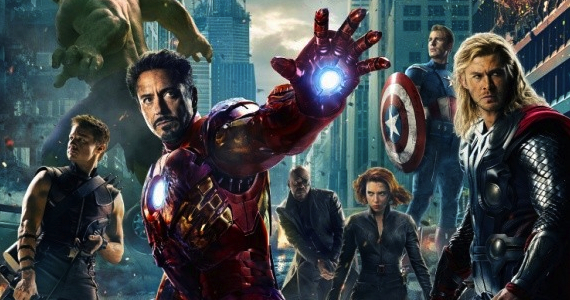 Avengers has already made over 280 million internationally. It’s a pretty safe bet Avengers will blow by Hunger Games to be the highest grossing movie of the year. Will it hold that spot? With The Amazing Spider-Man, The Dark Knight Rises, and The Hobbit: An Unexpected Journey still to come this year, it may not, but it’s sure to be one of the top five movies of the year. Expect a full review this weekend, but maybe not until Sunday. I’m going to need to see it twice. This entry was posted in Comic Books, Movie Previews, Movies and tagged Avengers, Marvel Comics, Movies. Bookmark the permalink. I am going to be the last person on the Nine Worlds to see this movie, because I have to wait until Wednesday. Will the Black Widow hook up with one of her Avengers cohorts? These questions and more, Tonight on Nightline!